After 4/20/2019 a fee of $7.00 will apply to all Adults Registrants. After 4/20/2019 a fee of $7.00 will apply to all Scouts Registrants. 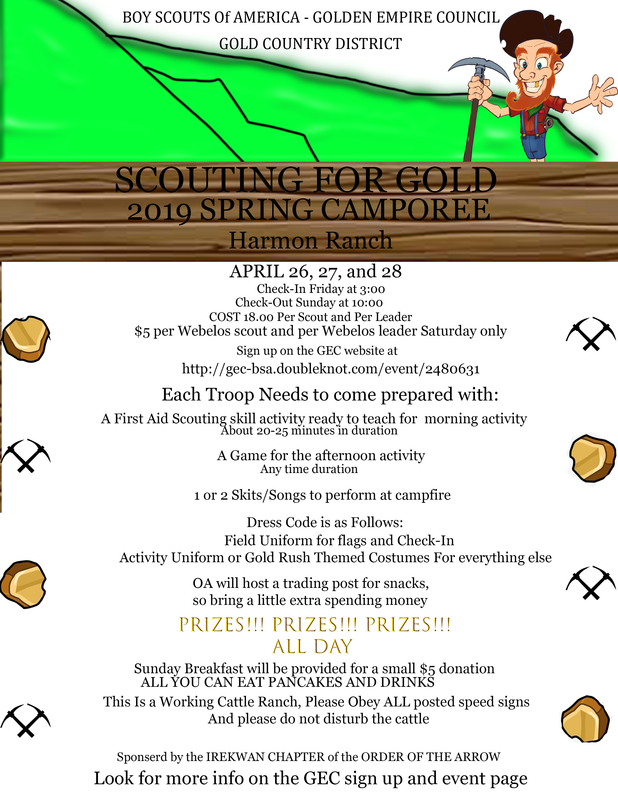 After 4/20/2019 a fee of $5.00 will apply to all Webelos (Saturday Only) Registrants. After 4/20/2019 a fee of $5.00 will apply to all Webelos Leaders (Saturday Only) Registrants.